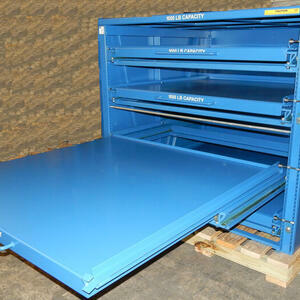 Large square roll-out shelves with 1,000 lb. 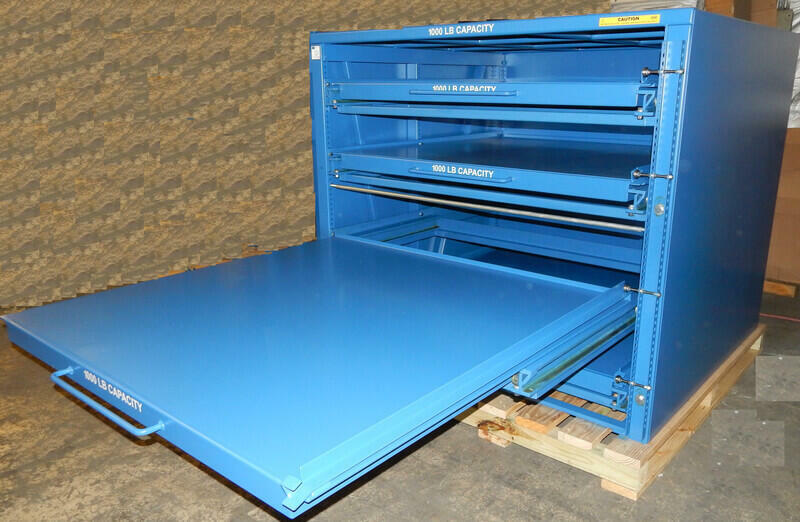 capacity purchased for storing turbine engine components. This rack included lifting rings for easy movement and placement.